If you're a fan of this classic tomato-and-vodka-based cocktail, then surely you've had your fair share of delicious--and downright terrible--versions. Some Bloody Marys are so thick with fresh tomatoes they seem more like salsa. To the rescue: Bethenny Frankel, once again! If you're a fan of this classic tomato-and-vodka-based cocktail, then surely you've had your fair share of delicious--and downright terrible--versions. Some Bloody Marys are so thick with fresh tomatoes they seem more like salsa. Others are too watery, possibly because the bartender was overly generous with the alcohol, or so spicy it seems like you could become a human dragon. To the rescue: Bethenny Frankel, once again! The skinnygirl may have started it all with margaritas, but she proves her mixology knowledge doesn't stop there. 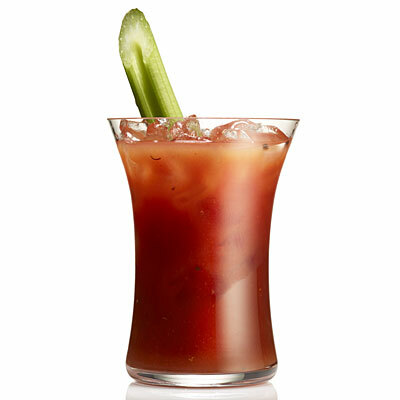 Her recipe substantially cuts down the sodium level of traditional Bloody Marys, and with three other tangy ingredients--hot sauce, Cajun spices, and Worcestershire sauce--you're sure to get a punch of flavor with every sip.